Nintendo has released a firmware update today for its 3DS hand-held which adds a host of new features, including the ability to capture 3D video. The 3D video capture feature allows owners to record up to 10 minutes of 3D video and includes ways to enhance the footage, such as the Interval Shot feature, which allows you to record image after image in short timed intervals, producing a piece of time lapse footage. You could, for instance, demonstrate an icicle melting or a flower blooming. There’s also the Frame Pick feature, which can be used to take multiple still images and join them together to create stop motion footage, in the same way an animation is created. 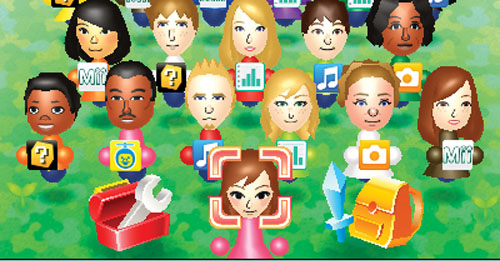 New features are also available in the StreetPass Mii Plaza, including new panels to swap and collect for Puzzle Swap. You will also have the option to embark on a new StreetPass Quest, with new tools to help beat your enemies, in addition to new hats to discover and collect. A geographical map is also included for those with StreetPass, with each collectible section based on a location. Like a jigsaw, each time you meet a new person from each region, you gain another piece of the map. The more people you meet from a different country, the more sections of the map you’ll collect. The Nintendo eShop has also had a minor face-lift. Users now have the option to play demo versions of select Nintendo 3DS releases, enabling you to try a game before making a purchase decision. There is also the option to conduct downloads whilst the system is in Sleep Mode, allowing multiple downloads to occur the next time users are not actively using their Nintendo 3DS. If you're on the lookout for a Nintendo 3DS this Christmas, there aren't too many bargain around. However, Amazon, has reduced the 3DS for a limited time to £119.99.